Byta - Blog "Artist Beta Feedback: Byta's 3 Key Features"
Our Artist Account beta is a great opportunity to learn why more and more artists are using Byta to send & receive their digital audio. Clearly there is growing disillusionment with private sharing via “social” audio platforms such as Soundcloud or Bandcamp. More surprising are those who, until recently, still shared tracks as email attachments or used generic ‘file sharing’ services lacking streaming support. Everyone from Free Account users to those who’ve joined our Artist Beta, repeatedly highlight three ways Byta improves their experience of exchanging audio. This is frustration number one for obvious reasons. Artists are stuck in the middle when privately sharing their audio online. Generic file sharing services don’t offer streaming while social audio platforms offer only poor quality streams. Byta streams audio at 320kbps (compared to Soundcloud and Bandcamp at 128kbps) which Spotify somewhat oddly refers to as “high quality” streaming. We have been exploring lossless streaming though at this time 320k is the best balance of quality vs user experience. 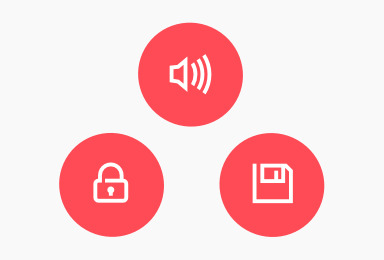 Byta supports multiple file formats including the reading and writing of WAV metadata, ensuring the information you see on your screen is exactly what is embedded in your files. Byta’s Free Account is the perfect solution to quickly swap tracks or review multiple edits and mixes. Stream audio from your own account and avoid the ‘click through/download/unzip/import to iTunes/play’ routine we have become accustomed to. We support both WAVE and BWF, read more on the Gearslutz forum. Artists are very focused on security, just not in the same way a label might be. They are most concerned with ensuring their unfinished audio reaches the intended recipient only, in the format they intended, and preventing sharing on. Byta’s Account Detect offers all users the flexability to decide the level of security that is right for them. Even our Free Account offers stream only sharing, with 7D expiry familiar to users of services such as WeTransfer. Get in touch to join Byta’s Artist Account beta and lend your voice to how we improve Byta for artists.